At Craigentinny Dental Care we have been providing quality dental care to patients of all ages in Edinburgh for over 25 years. Maybe that’s why so many local families trust us to look after their smiles. We are your dentist in Edinburgh. Pain free dentistry that meets your aims and stands the test of time is our goal. For our team dentistry is personal and getting to know you, and what you really want from a dental practice, is the most important thing that we can do to help achieve this. Whatever your reason for coming to see us at Craigentinny be it General Dentistry, Dental Implants, Cosmetic Treatment or help with dental fear, we will listen to your concerns, be thorough in our assessment and discuss clearly and honestly our advice and recommendations. Explore the site to find out more about the many ways we can help you achieve your optimal level of dental health. You can find out how to join the practice here or simply send us a message. If you are simply looking for information on a dental topic why not take a look at out treatments page or search our blog. Please note this request form is for non urgent appointments only. If you have a dental problem that you feel requires more urgent attention please contact us directly by telephone on 0131 669 2114. We understand that you may feel nervous, worried or just plain afraid of the dentist but we are here to help you with that. Cosmetic dentistry can give you that confidence and smile boost that you are look great. Dental implants are a great way to replace natural teeth that are missing already or about to be lost. Our goal is to help you and your family maintain your optimum level of dental health over many years. 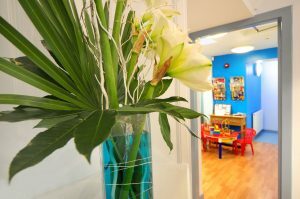 If you are looking for a Private Dental Practice in Edinburgh or an Edinburgh Dentist where your whole family’s needs can be catered for we would love to meet you. Our team comprises 5 Dentists, 2 Hygienists, a therapist and a support team. The team at Craigentinny aim to be a dental practice in Edinburgh that is a benchmark for not only modern dentistry but excellence in customer service in Scotland. Our Edinburgh dental surgery provides the latest dentistry and our team of Edinburgh dentists, nurses and hygienists are highly qualified and registered with the General Dental Council. We believe in the individuality of all of our patients and as a result tailor our services to meet the needs of you, our patient. We know that many people are frightened of the dentist so we aim to make your dental experience as comfortable and relaxing as possible. Our dentists have traveled extensively in the USA and Europe in search of the latest dental techniques so that they can offer Dentistry in Edinburgh to the highest standard as well as affordable.